Jung understood archetypes to be the inhabitants of the mythic landscape of human consciousness- the wellspring from which the great myths and legends of all cultures arise. Archetypes simultaneously shape human consciousness while being shaped by it. While there are subcategories of archetypes and certain elements that are distinct to different races, ethnicities and cultures, there are certain archetypes that are universal to all humans. The most important of these is the archetype of the King. In times of old, human tribes and civilizations from China to Babylon, from Egypt to Britain, from the Congo to Mesoamerica, all had versions of what we would call “kings”- rulers who claimed a sort of “divine right” of rule. Nowadays the notion of an individual human claiming divine right of rule is abhorrent to the modern mind accustomed to representative democracy and the like. We tend to conjure up images of obese tyrants living in luxury while their subjects starve to death. We see this tyrant justifying his cruelty and neglect toward the people by saying he had “divine right” to behave the way he did. However, this is in fact the opposite of what the ancient understanding of what the embodiment of the King archetype was. One of the basic functions of the king could be understood of that of a protector and a guardian of the land. Typically trained as a warrior, the king would be chosen for his leadership capabilities and his skill in battle. The king would be charged with leading the warriors into battle, defending the people and the land from marauding invaders and rivaling tribes. Warriors would not go to battle if the king was not fighting alongside them. The king was a man of honor and virtue. However, the king was understood to be something even more than these things. The true legitimate king of antiquity was akin to Socrates’ vision of the “philosopher-king”- a spiritually attuned human being, initiated into the Divine mysteries whose role it was to bring the divine principles into Earthly form through the construction of society and the rules that held it together as well as giving/bringing blessing to the people and the land. One may imagine the Pharaohs of ancient Egypt who were priest-kings of a supposedly semi-divine nature. These would have been individuals who studied in the great mystery schools and underwent the great initiations into understanding the Divine Laws of Nature and Creation and had achieved a state of Self-Mastery. These priest-kings would have been mediators standing in between the divine and earthly realms as a conduit. However, in these ancient times, the kingship was a tentative position, and once the king was no longer able to embody these Divine Laws and Principles, he was removed from the throne, and in some cases, sacrificed. The story of the sacrifice of the king is a part of ancient myth and lore as well. In the archetypal sense (and at times the historical as well), the king is willfully sacrificed or even sacrifices himself, accepting his role as a channel for the divine forces of creation. This can be seen in the ancient myth of “The Sacred King”. The true king is wise and selfless, and understands that he is a conduit for something that is beyond himself as an individual of flesh and blood. The true king sees his role in the seemingly endless cycle, hence the phrase that is chanted upon the coronation of a new king- “The king is dead. Long live the king”. We may recall the scene from the Last Supper where Jesus has the Apostles partake of the cup of “His blood”. It was this rite that the Apostles brought into the world as the sacrament of Communion, in which all who wished could partake in the blood of the divine life-force and take it into their Being, becoming one with it. It is also understood in the Christian mysteries that the greater power that anointed and embodied itself in the figure of Jesus was the Sun. The Sun was understood to be the physical body of an invisible God- the Christos. The masculine creative ordering principle has been associated with the Sun since great antiquity, with human kings from Pharaoh Akhenaten of Egypt to King Louis XIV of France associating it (right or wrong) as the source of their power and right of “divine rule”. The true king as understood in antiquity was a steward and protector to the people- a kind of “all father”. 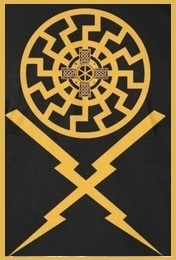 This concept would often be literal as well, as the lineage of the true king was seen as something that should be passed on to strengthen the people and the land. It was understood at that time there was a spiritual component to genetic lineage and true nobility. Like the immortal gods who were his ancestors, the king took on the role as the literal and figurative patriarch of the people. The king was seen as being in a sacred matrimony with the land, which was understood to be the Goddess Herself. It was to Her and Her children (the people, as well as wild game and livestock) that the king was sworn to protect and serve until he was no longer capable. The king’s true queen was understood to be the Goddess of the Land; the Goddess of the Earth. It was she who had the ultimate say as to whether or not the king was fit to rule and be in union with her. Gnostics understood this Goddess as the “Fallen Goddess” Sophia, who “fell” into Earth. Many Gnostics and practitioners of the Mysteries understood both Mary the mother of Jesus, and Mary Magdalene to be aspects or incarnations of this Goddess. It is following this Right Order; following “The Way”, that legitimizes the King. Again, we recall Christ Jesus referring to himself as “the Way”- he was speaking as the living embodiment of this principle. To this day, many followers of the teachings of Christ refer to themselves as “Servants of the Way“. Nefer-rohu then prophesized of a new king that would arise who would embody the principles of Right Order, restoring Egypt, driving out the invaders and setting things right with the Kosmos. Something happened as the Ages progressed and humanity came into the “Dark Time”, i.e. the Kali Yuga. The kingly lineages became increasingly prone to corruption and tyranny. They began to no longer serve the people, but rather their own self-interest and lust for power. At the same time, members of the merchant class began to rise to prominence, corrupting the machinations of government. Again, it is at this time the story of Christ Jesus takes place. Born into obscurity, but having blood of the old kingly lineage, he had the task of raising the archetype of the king out of corruption- in essence bringing it back from the dead. The rulers on the throne were illegitimate, and now the true king- the true embodiment of the king archetype had returned. However, the way the throne would be reclaimed would be done in a way that was unheard of and is still at this point just beginning to become realized. When Jesus bled into the Earth, the seeds were planted for something monumental. However, it would be some time before the seeds began to sprout and grow. As the gestation process was occurring, the illegitimate rulers maintained and continued their power. But they were secretly aware of what was occurring and sought to corrupt, poison or crush any “seedlings” of the Christ event that they saw. These illegitimate rulers are still firmly in control of the machinations of Earthly government to this day, and are attempting to tighten their grasp out of fear of the inevitable. They believe that if they can manipulate, poison and destroy the soil of humanity and the Earth that they can hold onto their illegitimate power and keep the King from returning. However, true power rests only to those who can embody the King archetype, which these men (and women) do not. Anything else is illegitimate and will inevitably fall to its own internal corruption. Christ Jesus sacrificed himself so that the Solar Initiations that were once relegated to a select few would be available to all of humanity. It is understood by many in the esoteric traditions, that the work of Christ Jesus enabled a sort of “inner life” in every human being that had not been available before. Christ made it possible for the sort of Self-Mastery that had only been possible for the most elite of incarnated beings to be available to everyone. Christ Jesus made it possible for anyone to embody the archetype of the King if they were willing to do what was needed for the transformation to take place. This is the true legacy of the man who was the incarnation of the Sun/Son of God and his lineage are all who are able to go through the initiation process of psycho-spiritual death and resurrection, and become an anointed being. In order for this to take place, we have to allow the immature, selfish and fearful lower ego to die in order to claim our right to the “Throne”. This “death” was the pivotal component of the ancient initiation process, which has seemingly been lost in modern culture (although is still present in some of the indigenous cultures that are also being wiped out). The illegitimate rulers seek to keep us in a state of perpetual childhood so we cannot fully come into being as Sovereign Anointed Kings (and Queens). This is why governments and societies are set up in the manner that they currently are and by and large have been for millennia. Likewise, the initiations we are “allowed” to have in modern society are by and large things that either serve or don’t threaten the illegitimate system like graduations, job promotions, military service, sports, fraternities, etc. Otherwise, they are things that only serve to degrade and corrupt the individual like gang initiations. Even things like Freemasonic initiation rites are not what they once were. During the periods known as the Renaissance and the Enlightenment, the ideas of Sovereignty; i.e. “Self-Rule” as well as Self Determination for not only nations, but individuals, began to resurface in European consciousness. Many of these ideas stemmed from the ancient Celtic, Germanic and Nordic cultures, but were eventually either suppressed or wiped out by the illegitimate rulers. These reborn ideals then began to spread throughout Europe and into the New World, culminating in the ideals expressed and carried out in the Declaration of Independence, the Articles of Confederation and the idea of rule “for the people, by the people”. However, the illegitimate rulers sought to twist and corrupt these “seedlings” and did so pretty successfully. The problem was that while the people may have been ready for the external freedom that results from self-rule, most were still not mature enough and lacked the true personal responsibility and understanding required for internal mastery. This made the people susceptible to moral corruption and cultural decadence, which eventually led to them losing sight of the little bit of self-mastery that had been achieved which had allowed for their external freedoms. Each generation slipped into increasing decadence and childishness. This is what has led to the predicament we find ourselves in today. This work begins when one answers “The Call” of Life to begin the path of CONSCIOUS spiritual initiation (this in and of itself can take lifetimes). It is at this point we begin “The Hero’s Journey” that mythologist and author Joseph Campbell pointed out was the central theme of the major myths and legends of humanity- including the story of Christ Jesus. In this archetypal story, the hero is called (often reluctantly) to embark on a quest or adventure. The hero then passes through a series of increasingly harrowing ordeals and initiations, climaxing in his/her confronting death itself in some form or fashion. This culminates in the triumphant ascension or “resurrection” of the hero who is now changed from what he once was into something far greater. It is a change as stark as the transformation from caterpillar to butterfly. In truth, the Hero is the young, immature version of the King, who goes through the ordeal in order to be able to legitimately claim the Throne. It was only after the death and resurrection that Jesus was truly KING OF KINGS. Looking at the world through this understanding of the King archetype, we can see that all the suffering, chaos, and environmental erosion currently taking place in the world is a direct impetus of illegitimate rulers who do not properly align with the King energy being allowed to hold power; combined with our own refusal to align with the King energy ourselves. If we look back to the writings of the ancient Egyptian prophet, Nefer-rohu, we will see a startling amount of similarities between what his people were experiencing then under illegitimate rulership, and what we are experiencing now. However unlike those ancient times, we now each have not only the potential but the responsibility to bring that King energy back into the world through ourselves and bring new life to a dying humanity and a dying planet. We need to understand that this will not be achieved through electing politicians and giving more power to technocrats and oligarchs. These are the illegitimate rulers who operate the illegitimate governing system, and any attempt to legitimize the illegitimate is an exercise in futility. I believe human destiny begins with the move towards true Sovereignty; true Self-Rule; which leads to true freedom both internally and externally. The idea of human self-governance should be the end goal here, but it is something that must be initiated from within ourselves, rather than something to impose externally through creating more laws and bureaucracies. Of course I realize that individual humans are far from equal, most of all in their progress moving up the ladder towards this ultimate goal of becoming Anointed Sovereign Beings. This process can take lifetimes. I realize that most humans alive on this planet are not ready or even capable of Self-Rule at this time, and that a great deal of suffering will still need to occur before this reality will be manifested on a collective level. But suffering, although unpleasant, is a crucial component in the process of Self-Mastery. Suffering is the elixir of the strong. Christ Jesus needed to suffer immensely before he could before his destiny of becoming KING OF KINGS could be fully realized. But it is in the midst of our suffering where we have the opportunity to face and overcome the things that keep us from Self-Mastery, including the greatest fear known to mankind- death. “The King archetype in its fullness possesses the quality of order, of reasonable and rational patterning, of integration and integrity… in the psyche. It stabilizes chaotic emotion and out of control behaviors. It brings calm. And in its ‘fertilizing’ and centeredness, it mediates vitality, life-force and joy. It brings maintenance and balance. It defends our own sense of inner order, our own integrity of being and of purpose, our own central calmness about who we are, and our essential unassailability and certainty in our… identity. It looks upon the world with a firm but kindly eye. It sees others in all their weakness and in all their talent and self-worth. It honors them and promotes them. It guides them and nurtures them toward their own fullness of being. It is not envious, because it is secure, as the King, in its own worth. It rewards and encourages creativity in us and in others. I do not believe the destiny of man is to simply return to our Source in order to be re-absorbed, becoming the same formless collective we emerged as in the beginning. Nor do I feel we are simply to become child-like spirit beings frolicking in a heavenly paradise, living in a state of divine subjugation, and existing in a sort of angelic hive-mind: we aren’t going back to Eden. Rather I feel our destiny is to continue the individuation process of the ONE that divided ITSELF into many, until each individual soul is the fully realized god-being that it is meant to be. There is a difference between individuation and separation- one is reality while the other is illusion. The full realization of the Solar Christ Impulse and the King energy is man’s path to godhood. I see us each as individual souls destined to become divine immortal beings in a way that is different than what we were before. We are evolving and are to become the new pantheon of immortal gods and goddesses- sacred kings and queens- ushering in the New Kingdom of the New Heaven and the New Earth.